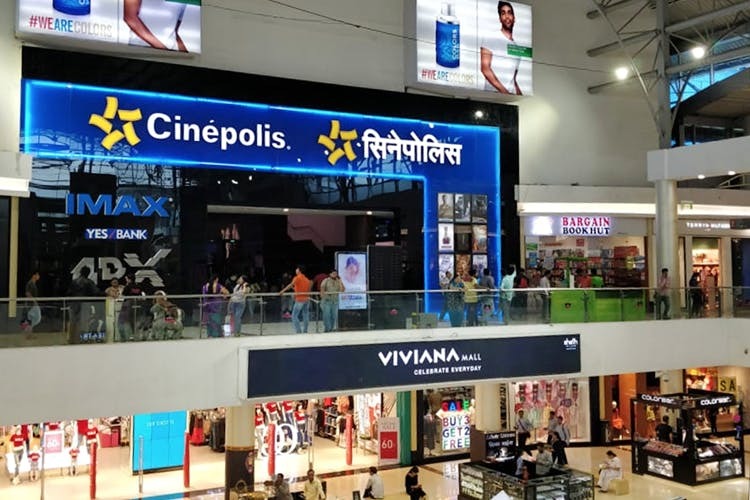 The Cinepolis movie theatre, a part of Viviana Mall in Thane, is an advanced movie watching destination with both IMAX and 4DX besides your regular 2D and 3D. If you love your movies, you have to try watching one at Cinepolis Thane. They have state-of-the-art infrastructure, spacious theatres and comfortable seating. To top that Cinepolis, a Mexican chain of movie halls with a presence in 97 cities worldwide, is known for their excellent sound and picture quality. Cinepolis Thane understands that no movie watching is complete without popcorn. And that’s possibly the reason they prepare their snacks with extra love; their delectable range of popcorn is highly recommended. If you’re here, don’t waste your time and energy standing in a queue to grab your snacks. Just let any one of the many servers know, and they’ll be happy to serve you on your seat. Cinepolis Thane also has IMAX – an immersive movie experience that is meant to be so much better than high definition. And, if you also want to feel your movies, they have the 4DX – a motion picture format that includes moving seats, wind, smells, lighting, fog and an effort to make you believe that you are a part of the movie. When the same movie can make you feel more, why would you go for a regular experience? Enhance what you see at Cinepolis Thane. It’s worth going the distance.